Everything dies. Your chances of dying unexpectedly also go up exponentially if you have run-ins with Ice Warriors, Cybermen, Daleks, Zygons, Voords or The Rani. Most people plan for death by writing a will. The survivors of those who do not have a will learn very quickly about inheritance through intestate succession. However, what about the Doctor? What effect would the ability to regenerate when one’s body dies and a wave of energy creates a new body for the former decedent? There is one way to know for sure. The Doctor needs The Lawyer. Time Lords (and script writers for 50 years) have a way of cheating death: They can regenerate 12 times. This happens when a Time Lord “dies”: A wave of energy surrounds the dying/dead body of the Time Lord, creating a “new” body that is physically different. There are significant personality changes and preferences in everything from clothing, manners and humor. Virtually every regeneration scene in Doctor Who (minus the Sixth to Seventh) showed a knowledge of impending death. The Tenth Doctor’s “I don’t want to go” is the best evidence that the Tenth Doctor knew his “life” was ending and a new Doctor would take his place. The power to regenerate enables Time Lords to live a very long time, but that does not mean Time Lords cannot die. For example, a Time Lord can die if the regeneration process is interrupted. Or in the Master’s case, he chose not to regenerate, and died. The “new” Time Lord, despite being a different person, is still the same person at their core. This is evident in values, memories, friendships, behavior and property ownership. And the Time Lord usually maintains the same enemies (The Doctor vs The Master is Exhibit A of this point). Three of the best examples of different regenerations of the Doctor having common characteristics is 1) the majority of Doctors all used a sonic screwdriver; 2) three of the eleven Doctors wore bow ties (arguably the First Doctor wore an Victorian style bow tie at times); and 3) The Doctor likes having at least one traveling companion. Virtually all of the Doctors have also shown they can do a lot of running. 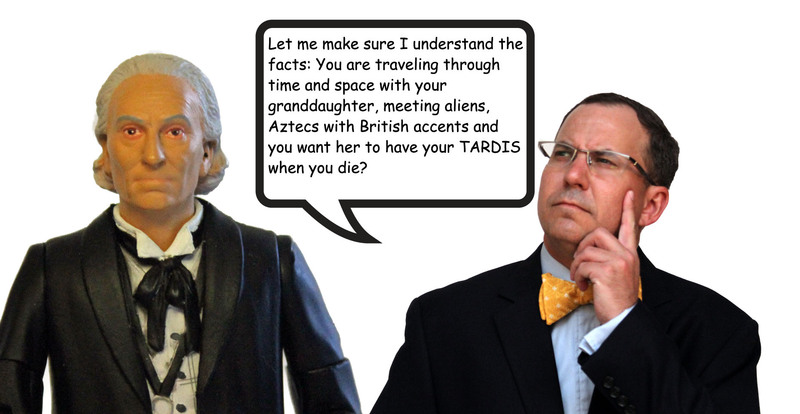 However, there are significant differences between the regenerations of a Time Lord. 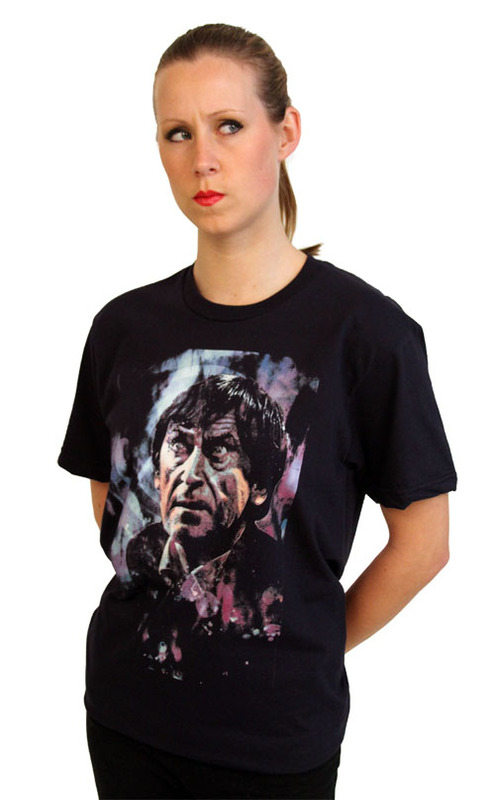 Take the Third Doctor for example. Every Doctor has been willing to confront their enemies, but the Third was perhaps the most physical of the Doctors with his Venusian Karate. 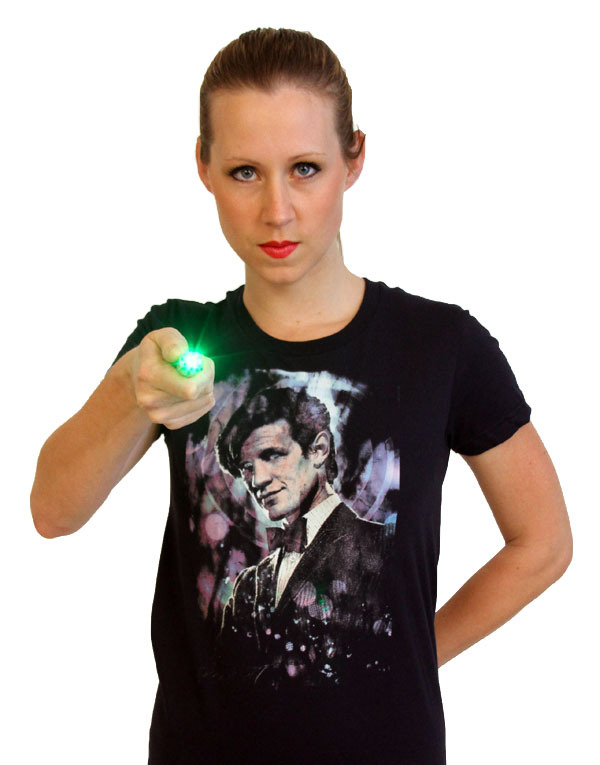 Why are differences in clothes, personality and whether a Time Lord gives a karate chop relevant to the validity of a will? Because it shows that the change between regenerations creates a “new” person, which would impact the intent of a prior existing will. The legal expression of an individual’s wishes about the disposition of his or her property after death; esp., a document by which a person directs his or her estate to be distributed upon death <there was no mention of his estranged brother in the will>. — Also termed testament; will and testament; (archaically) testamentary instrument. Case law on Wills state that the “primary and paramount factor in construing a will is testator’s intention.” In re Estate of Reinhardt (1887) 74 Cal 365. State legislatures have codified the importance of the intent of the testator with code sections stating the “intention of the transferor as expressed in the instrument controls the legal effect of the dispositions made in the instrument.” Cal Prob Code § 21102. 3. The will shall be witnessed by being signed, during the testator’s lifetime, by at least two persons each of whom (A) being present at the same time, witnessed either the signing of the will or the testator’s acknowledgment of the signature or of the will and (B) understand that the instrument they sign is the testator’s will. Generally, Cal Prob Code § 6110. The will should also be dated. This is a problem with someone who travels in time, because it can result in paradoxical interpretation of when a will was drafted. California created a rule that beneficiaries of a will must survive the testator by 120 hours. Again, another problem for someone who travels in time, because the named beneficiary might exist in time several decades before the testator’s death, and thus has already been dead for years, even though they survived the testator. Cal Prob Code § 6211. A holographic will does not involve holograms at all (Sorry, the Ninth Doctor’s Emergency Program 1). A holographic will is a valid will if it is written by the testator’s own handwriting and signed. Cal Prob Code § 6111. A will is revoked if a subsequent will states the older will is revoked or by any inconsistency with the new will. See, Cal Prob Code § 6120. This is a problem for a time traveler, because a prior will can be created in time before the original will was prepared. (18c) 1. The method used to distribute property owned by a person who dies without a valid will. 2.Succession by the common law of descent. — Also termed hereditary succession; descent and distribution. The general rule for intestate success if the deceased did not have a spouse, property flows down to children (the issue of the deceased); if no children then to up parents; if no surviving parents, then to the issue of the parents. See, generally, Cal Prob Code § 6402. What effect does the personality changes between regenerations have on the validity of a will? Arguably the will is no longer valid, because the changes can be great, thus revoking the intent of the past Time Lord. The same can be said for each time the Doctor has encountered past versions of himself in the Five Doctors, the Two Doctors, and Time Crash: all had arguments with each other. They all then got along, with one big exception: Trial of a Time Lord. The villain in Trial of a Time Lord was the final (or second to last) regeneration of the Doctor (known as The Valeyard), serving as the prosecutor of the Sixth Doctor for genocide and other crimes. On a fundamental level, it is very hurtful that the Doctor “turned evil” and became a lawyer. The Valeyard is powerful evidence that a future regeneration can have a complete change of intent, rendering any past wills to be completely invalid (and a regeneration that will probably be disregarded because of the The Last Great Time War). What does this mean for any Time Lord with a prior will? The effect of a regeneration could result in a new version of oneself with a different set of values, requiring the new Time Lord to review their prior will for any modifications based on their current intent. The First Doctor prepares a will naming his granddaughter Susan to take possession of the TARDIS in the event of his death on November 23, 1963. The Second Doctor modifies his will in 1746 to leave Jamie McCrimmon his recorder. In 1972, the Third Doctor again modifies his will to leave Elizabeth Shaw his shoes with the keys to the TARDIS. 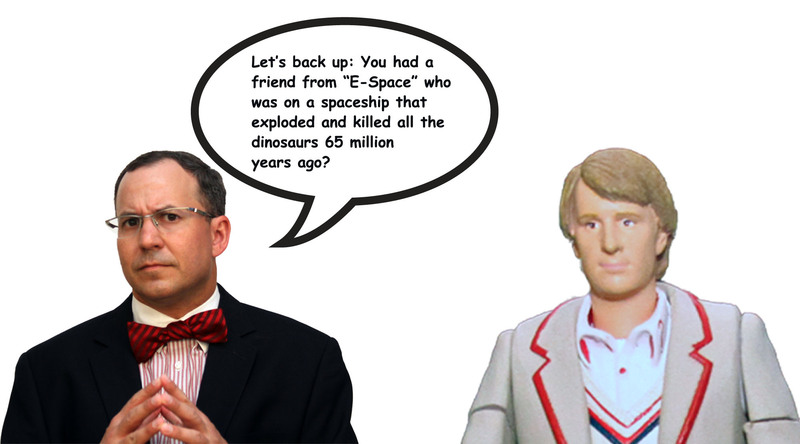 At 65 Million BC, the Fifth Doctor creates a pour over trust to create a mathematics scholarship in the memory of Adric. In 2986, the Sixth Doctor again modifies his will to create a scholarship from a pour over trust for botany students on Earth in memory of the Vervoids. In the year 200,100 the Ninth Doctor’s “holographic will” tells Rose to let the TARDIS die, be buried, and for her to live a good life. The Eleventh Doctor in 1890 adds a codicil to his will to leave Vincent van Gogh the collected works of Andrew Wyeth (who will not be born until 1917). 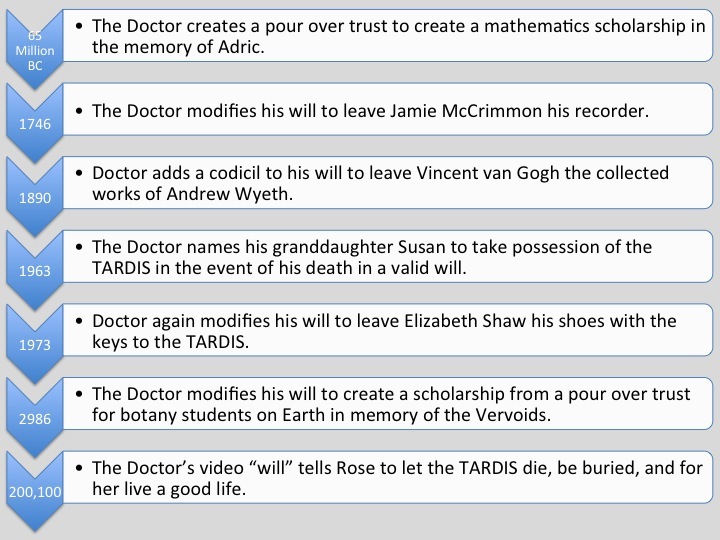 Could the different hypothetical wills all be valid, despite being from different regenerations? Maybe. A Court would look at the intent of each will and see if there are any conflicts. Moreover, were there any significant life changes (besides the regeneration) that would call into question the validity of a will? For example, getting married (or divorced) or having a child are such life changes that could show a change in intent. Consider the above hypothetical: The First Doctor’s will to leave the TARDIS to Susan would likely not be valid after Susan left traveling with the Doctor and the Last Great Time War, because she is presumed dead with all other Time Lords. Unless she is hiding as a human. As for Jamie McCrimmon, he died on an [comic book] adventure with the Sixth Doctor, thus Jamie would not be able to inherent under the Doctor’s will. The Third Doctor’s will leaving his shoes with the TARDIS keys to Elizabeth Shaw would no longer be valid, because the Doctor’s banishment to Earth ended in 1973 and Shaw also left the Doctor’s company very early in the Third Doctor’s adventures. The Fifth and Sixth Doctors’ intent to create pour over trusts would likely still be valid, provided there are funding sources for the scholarships. 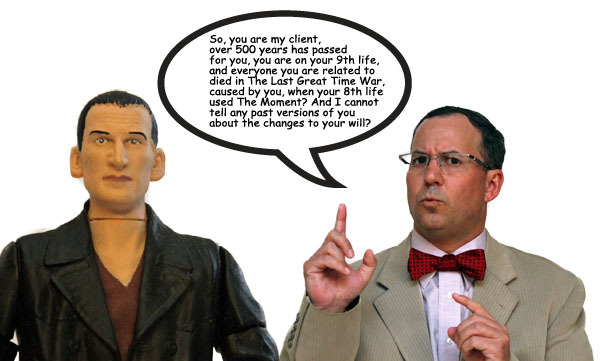 However, would the Ninth Doctor’s holographic “Emergency Program 1” revoke all prior wills? While the Doctor did have a hologram giving his last wishes, the recording was not a written document in his own handwriting. 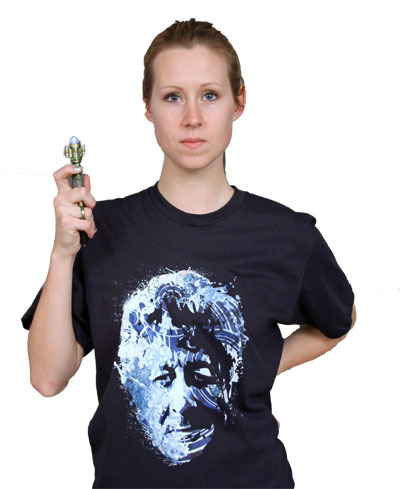 However, it is arguable that Rose was the Doctor’s agent to carry out the Doctor’s final wishes. As for Vincent van Gogh, the validity of the will would turn on when the Doctor died whether van Gogh could take under a will. If the Doctor died in the 34th Century, van Gogh in the 19th Century would not survive the Doctor the required 120 hours to take under the will (the difference between the 34th Century and the 19th Century is thousands of years longer than 120 hours). However, consider the Eleventh Doctor’s two marriages: Marilyn Monroe and River Song. The Doctor should have changed his will after each, provided the marriages were both valid. One can imagine the marriage to Monroe was annulled shortly after the Christmas Eve ceremony. 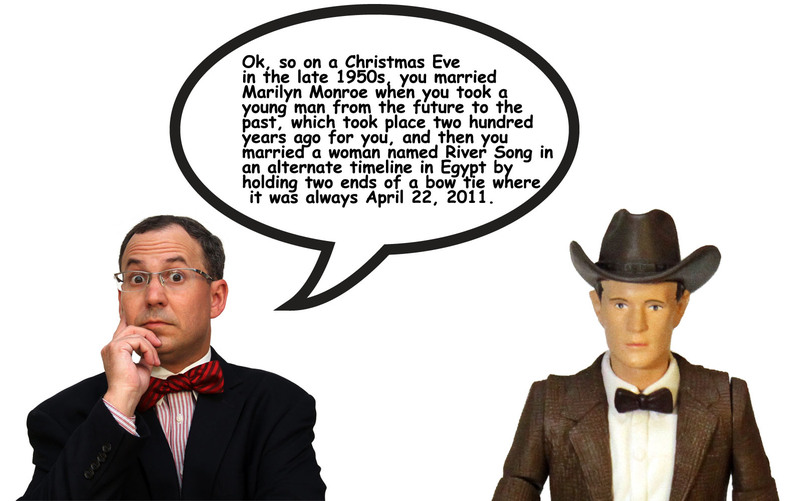 Conversely, it is difficult to say the marriage to River Song is valid, because it took place in an alternate timeline in Egypt caused by a paradox with all of reality crashing down around them. This ceremony might not be valid anywhere (or any timeline) because of the temporal paradox and lack of a marriage license for Court to recognize. It is also difficult to show a Common Law or Marvin marriage, due to the lack of the Doctor and River living together for any period of time. What does this all mean? The Doctor really should see a lawyer after regenerating to ensure all his affairs are in proper order. Moreover, the power to regenerate does not mean the there is no risk of death; seeing an attorney to have a valid will is the responsive thing to do for someone who walks in eternity. Next articleIs Bird Law in This Country Governed by Reason, Charlie?